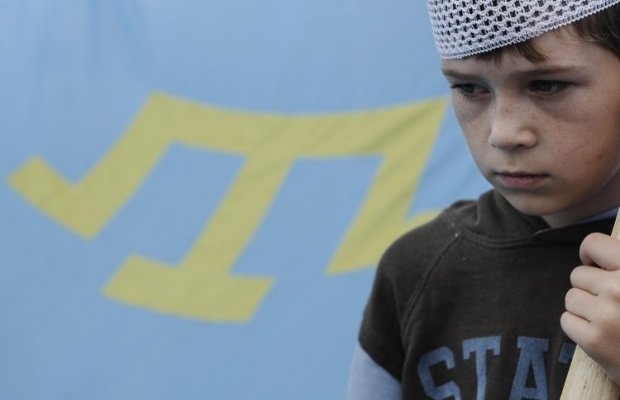 Amid all the ups and downs of Ukraine’s marathon for a new coalition and a new prime minister, the topic of the Russian-occupied Crimea was left a bit sidelined, but the thing to remember is that the oppression of the Crimean Tatar people continues. 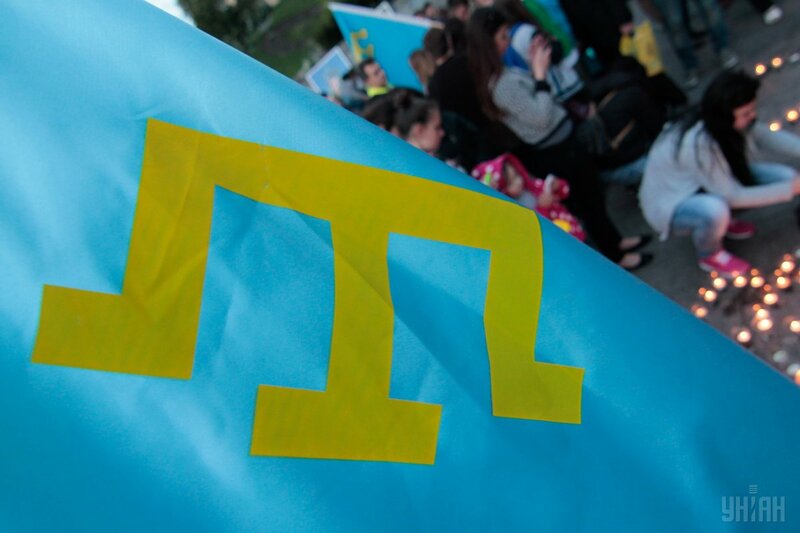 It is possible that the Mejlis, the elected government body of the Crimean Tatar people, will be banned in the territory of Crimea. The so-called prosecutor of Crimea Natalia Poklonskaya first went hard on the Crimean Tatars back in February, accusing them of extremism. Later, she went on to appeal to the “Crimean Supreme Court” to ban the Mejlis of the Crimean Tatar people in the territory of the occupied peninsula based on the Russian Law On Countering Extremist Activity. At the same time, she said that the request to ban the organization supposedly come from the Crimean Tatars, themselves. However, she chose not to wait for the final verdict of the "court," which was scheduled to be announced on April 15. 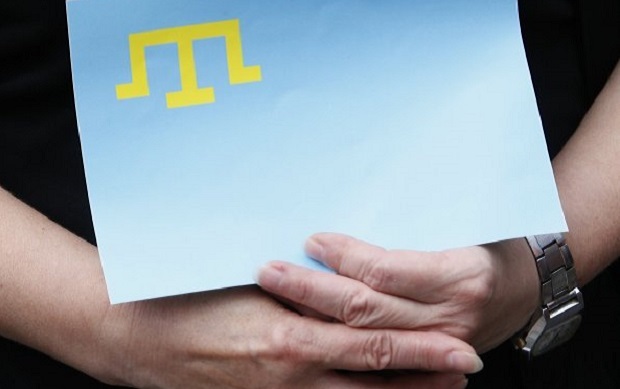 Instead, on April 13, she issued a decision to suspend the activity of Mejlis "before the decision is taken by the Supreme Court of the Republic of Crimea." "Mejlis is barred from using all state and municipal media, carrying out various public mass meetings, using bank deposits and in general conducting any activity. All of its propaganda is prohibited," reads the decision. Poklonskaya did not attend a hearing of the Russian-controlled Supreme Court of Crimea in Simferopol on April 15, initiated by the very "Prosecutor's Office." The next meeting is scheduled for April 25. But the leaders of the Mejlis, who still live in Crimea, have little to no doubt that the court will satisfy demands of the prosecutors to ban the organization. On April 18, the Russian Ministry of Justice included the Mejlis in the list of civil and religious organizations, whose activity is suspended due to extremism. 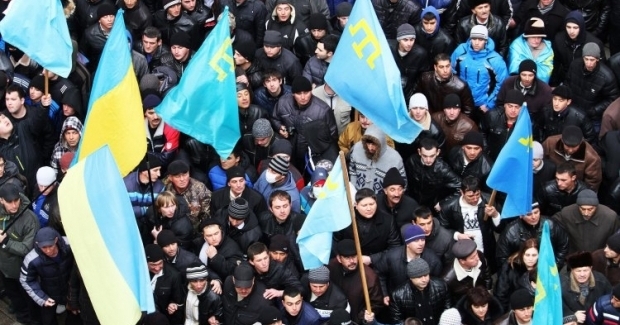 "A ban on the activity of the Mejlis of the Crimean Tatars is a declaration of war against our people," said one of the leaders of the Crimean Tatar issues, the President’s Envoy for the Crimean Tatars, Mustafa Dzhemilev. According to him, given that the Crimean Tatars are the leaders of the resistance to invaders, it is not surprising that the occupation forces try their best to discredit the Mejlis. In turn, head of the Mejlis Refat Chubarov noted that such actions of the local "law enforcers," including Natalia Poklonskaya, who has illegally taken prosecutorial functions, are orchestrated by the Kremlin. The official believes that this way, Russian President Vladimir Putin, in his traditional manner, responds offensively to the calls of the UN Security Council member states, the UN Human Rights Council and a majority of the deputies of the European Parliament to stop the persecution of the Mejlis. Thus, in his opinion, the indigenous nation of Crimea faces a direct threat of violence coming from Russia. In this situation, Kyiv has no choice but to appeal to the international community. According to President of Ukraine Petro Poroshenko, it is only possible to stop arbitrariness of the “Crimean government," which revived "Stalin's policy" in Crimea, by means of stopping the annexation of the peninsula and withdrawal of Russian troops. 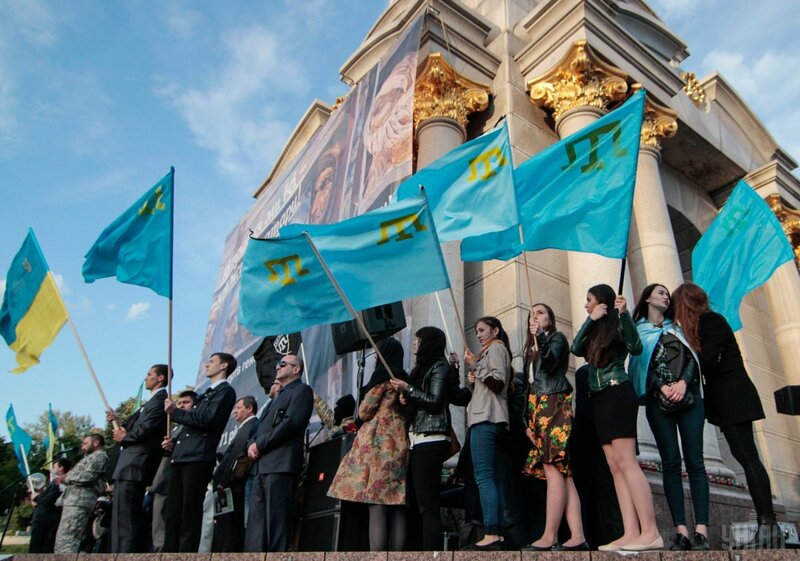 "Political arrests and trials against individual representatives of the Crimean Tatar people is not enough for them – they decided to ban the Mejlis. The whole nation is being deprived of its voice, its opportunity to be represented and for their rights to be defended. This is yet another violation of basic human rights and freedoms, which Russian occupation forces committed in the illegally annexed Crimea. This is the resumption of Stalin's policy against the indigenous people of the peninsula. The reason is authoritarian fear of self-organization of the free people... I appeal to the international community: every day of the occupation brings new threats to the residents of Crimea. The only way to stop this arbitrariness is to discontinue the annexation of the peninsula and withdraw completely the Russian occupation troops," he wrote to Facebook. On April 14, Ukraine’s Permanent Representative of Ukraine to the United Nations Volodymyr Yelchenko called on the Security Council and the UN Secretary General to condemn the illegal decision of the occupation authorities in Crimea to suspend the activities of the Mejlis. “I strongly urge that no action is taken to restrict the Mejlis’s activity or to label it extremist,” he said. “The human rights mission I sent to the peninsula in January raised this issue and I immediately expressed my concern to Foreign Minister Lavrov. This situation is urgent and, as our recently published human rights report makes clear, banning the Mejlis would discriminate against the whole Crimean Tatar community and is therefore unacceptable,” Jagland has said in comments to UNIAN. Former Consul General of Ukraine in Istanbul and Edinburgh, chairman of the board of the Maidan of Foreign Affairs charity foundation Bohdan Yaremenko notes that there is an ongoing campaign in Crimea of pressure on the Crimean Tatars and destruction of their representative bodies. And the main purpose of this campaign is the disruption of life of the Crimean Tatars, their persecution and subordination to the Russian authorities, the expert believes. In other words, attempting to brand the Mejlis an "extremist organization" will allow Russians to kill two birds with one stone. Firstly, if the organization is banned, any mention of the Mejlis or any evidence of links with it will be a base for the so-called "Russian justice" to classify any people as extremists and terrorists. Secondly, Russia will also seek to promote in the global arena the opinion that the Mejlis is an extremist organization, and as a result, put it onto the relevant lists. According to the diplomat, Russia is colonizing Crimea by turning it into a major military base, probably including deploying nuclear weapons. Therefore Moscow just can’t afford disloyal attitudes of population in Crimea. And, considering that the Crimean Tatars refused to play the game of loyalty to Russia, they are being crushed. However, Yaremenko is convinced that both the Crimean Tatars and the Ukrainian state have the opportunity to refute Russia. "The Crimean Tatars have to go through all required appeals to this decision [on the ban of the Mejlis] in Russia and then, as soon as possible, lodge a lawsuit with the European Court of Human Rights. The case of the Mejlis of Crimean Tatar people should be another “Savchenko case.” It will on international agenda, and with time, it will become a leverage against Russia," says the expert. According to Yaremenko, if Ukrainian Foreign Ministry will contribute to the diplomatic efforts of the Mejlis, we will see enough international support for the position of both Ukraine and the Mejlis. To date, according to the diplomat, Ukraine has not done enough so that the issue of the oppression of the Crimean Tatars in Crimea received the widest publicity. "The UN, must respond, of course, because there is the Convention on the Rights of Indigenous Peoples, which the Russian Federation cynically and brutally violates, depriving the Crimean Tatars of a single organization that represents their interests, channeling the will of the Crimean Tatar people and being its only representative body. Russia has once again spat in the eyes of the world," he said. However, if Russia intensifies oppression of the Crimean Tatars, Ukraine has only political and legal instruments to use. "There are no other tools the Crimean Tatars can afford, because for them, any protest may mean physical annihilation, besides the ban. This is Russia, where no one bids a penny on a human life," he said. However, in any case, Yaremenko admits that, over time, this will lead Russia to the far greater problems than those faced by the Crimean Tatars today. Political analyst on international affairs Taras Chornovil notes that any arguments that justify the ban on the Mejlis of the Crimean Tatar people are not just artificial, they are openly fascist. According to him, had Russia offered some kind of excuse, for example, that the Mejlis, "is not in line with the Russian Constitution, the Russian legislation" and therefore tried to make it an informal organization, it would create at least some screen of legality. "But defining the Mejlis an extremist organization – it is, in this case, the same as when the Jews were dubbed extremists in the times of Hitler, which led to their annihilation... Russia is actually performing an act of genocide or ethnocide, as outlaws a whole nation. After all, the Mejlis is not a political structure, it is a representative body of the Crimean Tatars, it is their organization, their unique self-government. It can’t be extremist or politically oriented in any way by definition," he said. In this regard, in his opinion, the repression against the Crimean Tatars in Crimea may indicate that "a Nazi regime is being born in Russia, not even of an Italian, but namely of the German model." "It repeats the same mechanisms – recognition of certain peoples as enemies; respectively, their structures and organizations are recognized as extremist and threatening. Destruction usually begins with active citizens and structures of self-government of these peoples," he said. Given that what is happening in Crimea can be classified as a flywheel of genocide against the Crimean Tatars, the UN Security Council must have its say, according to Chornovil. The expert notes that among the objectives of the Security Council is an important task of preventing the commission of acts of genocide. In this regard, Ukraine should be as active as possible, constantly keeping the Crimean issue high on the international agenda. This should result in the future in Russia paying an incredibly high price, not only for the occupation, but also separately for its actions against the Crimean Tatar people.